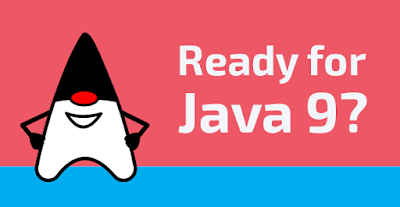 In this post let's see all upcoming exciting features of Java 9, including most awaited REPL (JShell), Immutable List, Set, Map, Private methods in Interfaces and much more. Move the downloaded version to a directory of your choice, extract it, and sneak into "jdk-9/bin", one can set JAVA_HOME as well to get direct access to these executable. Before Java 9 developers used to get immutable objects of Collections using "Collections.unmodifiableList" kind of methods, these methods are very tedious and verbose approach. Now on with Java 9 about to come, one can use provided new factory methods "of()" to do so, and even empty immutable objects can be created. Before Java 9 developers were able to add methods in interface with implementation while the methods are either default or static, private methods were not allowed. Now on with Java 9 about to come, one can add even private method body to an interface along with default and private methods. We have seen few important Java 9 features in detail, will cover remaining soon.